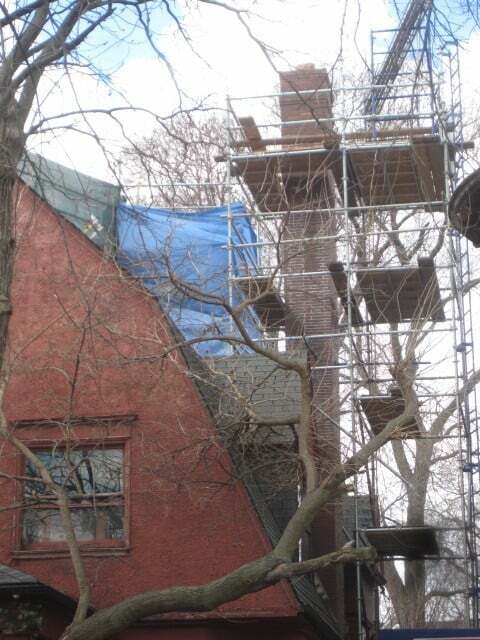 AAA-1 Masonry & Tuckpointing was called out to this Frank Lloyd Wright home in Hyde Park to correct the significant deflection in this 80' tall chimney. Due to its historical significance the City of Chicago's Department of Preservation was consulted and provided guidelines for the work. 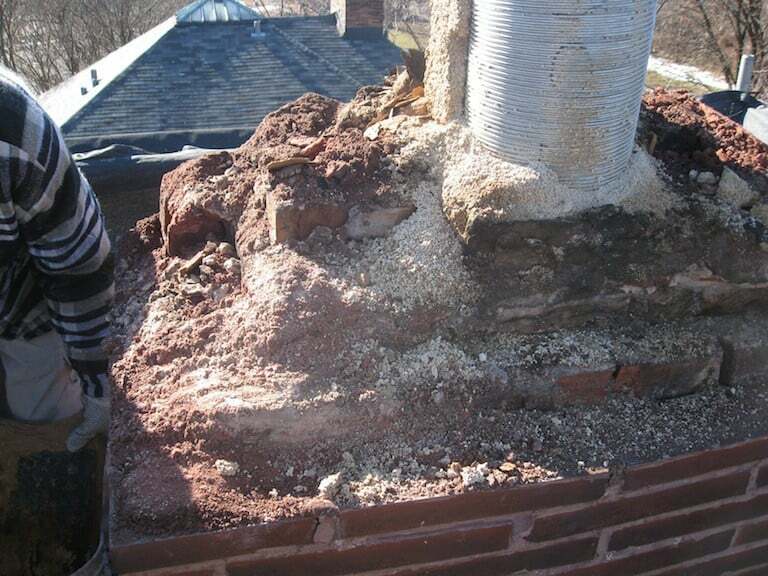 After scaffolding was erected and the building could be better evaluated, the chimney caps were determined to be one source of water infiltration and structural damage to the bricks below. 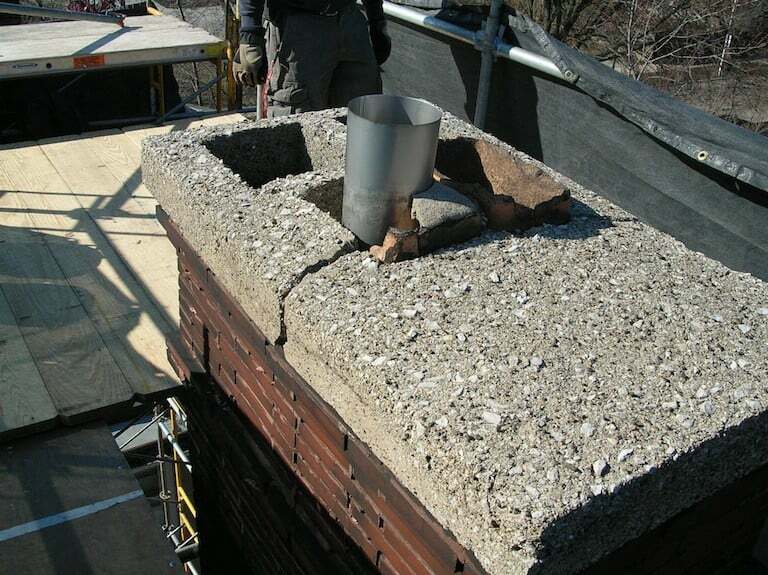 Years ago, an earlier repair of the chimneys consisted of a thin, sloppy and insufficient smear of mortar applied right over the original cracked and eroded mortar joints. Seasonal rains and snows continued to damage the chimney shaft to the point of the severe deflection. 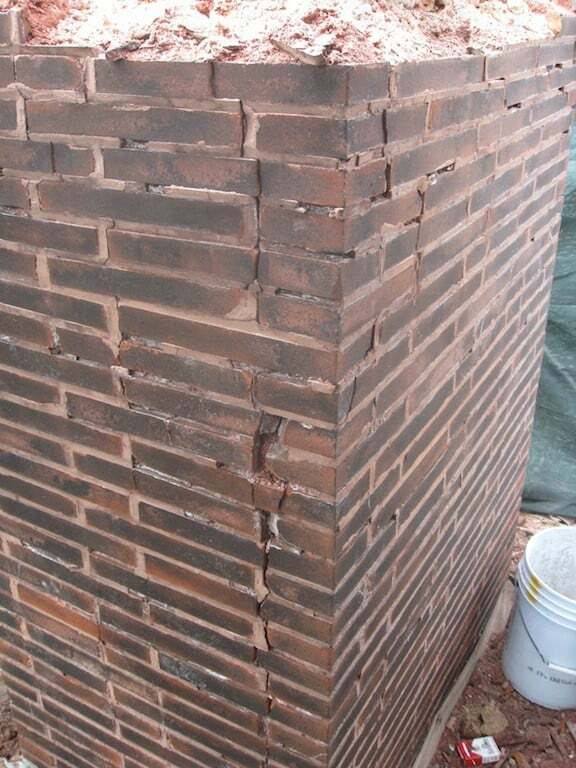 Although the severity of the damage required that the chimney be dismantled, nearly all of the bricks themselves were found to be in very good condition. (This was fortuitous for the owners since bricks of this size, color and texture are no longer produced.) 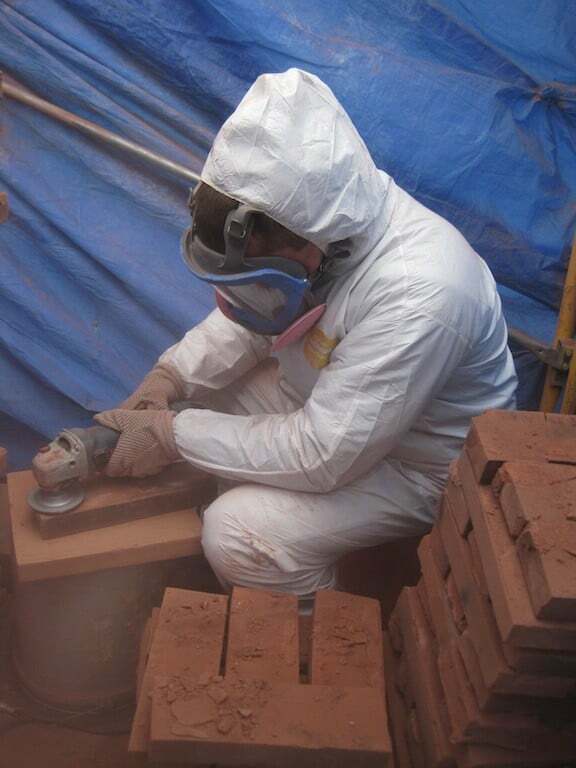 As the chimney was dismantled, the condition of every brick was evaluated. Structurally sound and visually pristine bricks were cleaned of excess debris to ensure proper mortar adhesion (new mortar will not bond well to bricks with bits of old mortar still clinging to them). 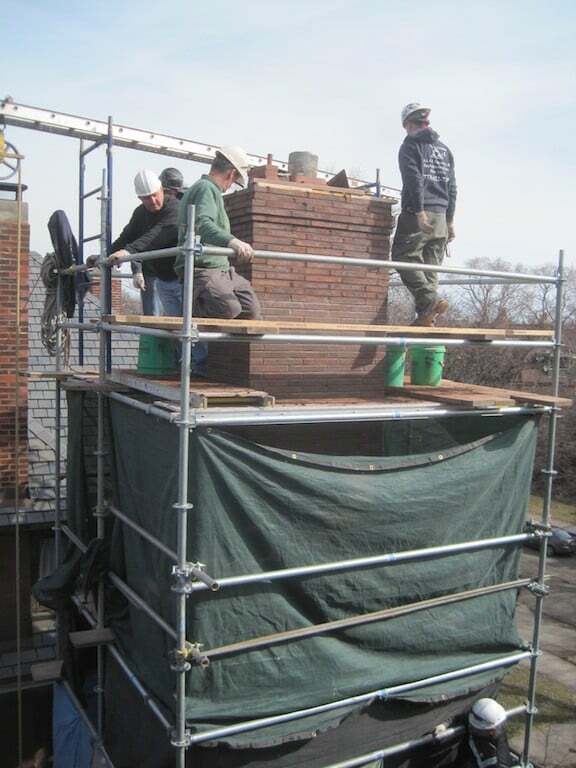 With the chimney brickwork almost complete, the final step was to hand-pour a custom-sized concrete chimney cap.